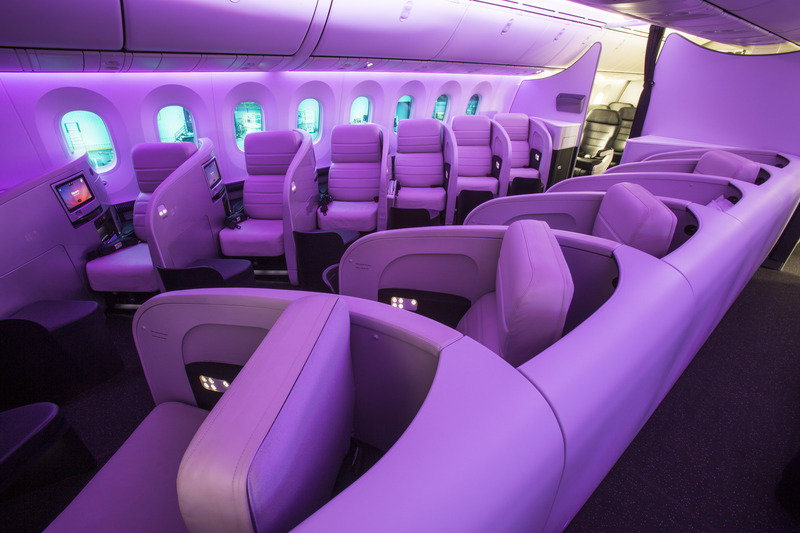 The Business Premier cabin will feature Air New Zealand’s signature chalk colored luxurious leather armchairs which convert into lie-flat beds with memory foam mattress, cosy duvet, and two full size pillows. In the Premium Economy cabin the airline worked with US seat designer Zodiac on a customized seat best described as Business-lite – the leather seat will have a 41” pitch, a 5” wide armrest and a leg rest and extendable foot support which will allow passengers to stretch out and relax. 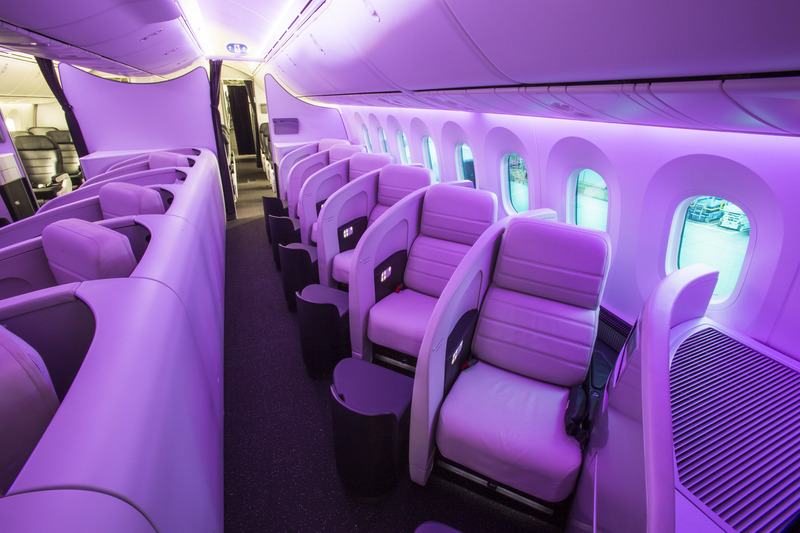 The Economy cabin will feature 14 rows of Air New Zealand’s unique and highly popular Kiwi designed Skycouch seats – these three seats convert into a sofa-like flat surface for both rest and relaxation. The 787-9 Zodiac Economy seat features a slim-line seat back to enhance the feeling of space, sculpted upholstering, and a more flexible headrest. The Boeing 787-9 is a stretched version of the 787-8 – six metres longer at 63m. Wingspan is 60m, height 17m and fuselage cross-section of 5.74m . At 206 feet in length, the 787-9 is 20 feet longer than Boeing’s first version, the -8. Air New Zealand will be the first airline to fly the new plane, which is scheduled to enter service Oct. 15 on a flight from Auckland, New Zealand, to Perth, Australia. The 787-9 will be used on Air New Zealand’s flights to Shanghai and Tokyo as well. The airline will start to replace its Boeing 767-300 planes with 787-9s, completing the switch by 2016. The company has ordered 10 787-9s and should receive them all by late 2017. Florida Holiday Inn Resort Doubles as a Military Site – Rooftop Beach Ball not for Decoration! 15K US Airways Miles Offer Still Kicking…and at a lower spend! Terrible business class seats it is going to be impossible to look out the window. Whoever made that decision needs to be fired. I had the best airplane sleep time in one of those seats. Zzzzed all the way from HKG to LHR. Absolutely love them.